Their site contains detailed information on a wide range of Yuasa products from the latest in automotive, commercial vehicle and leisure batteries, to the world’s most reliable lead acid batteries including the famous NP range, and long life endurance batteries for industrial applications. Yuasa’s extensive range of valve regulated lead acid batteries offers the widest choice of power source to meet most known applications including Security and Alarm systems, UPS systems, Emergency Energy Lighting and OEM electrical equipment. 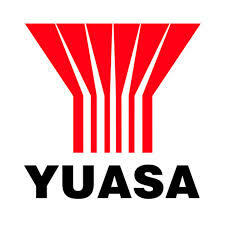 The new range of Yuasa automotive batteries that cover over 90% of ALL applications in the European vehicle parc, including cars, commercial vehicles, marine and leisure.